They've really brought Tom back in a big way. As an aside, I don't think I can every forgive Red for smothering Lizzy's adopted father. How do you come back from that, even if he was terminally ill? Also, is there a spoiler tag function for Mefi? There are spoiler conditions you can choose when making a new post (First-Watch, Rewatch, Show Only, or Books Included), but nothing at comment-level, if that's what you mean. But, there shouldn't be a need to spoiler-tag comments within an episode's thread -- if the comment is a spoiler because it's referencing events in a future episode, then the comment belongs in that next episode's thread. And, if there isn't a thread yet, anyone can start the post. 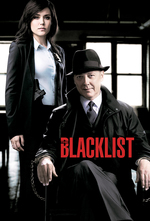 I wouldn't do it if there's an established style/consistent posting time for a show, but, it looks like Blacklist is up for whoever feels like it now.